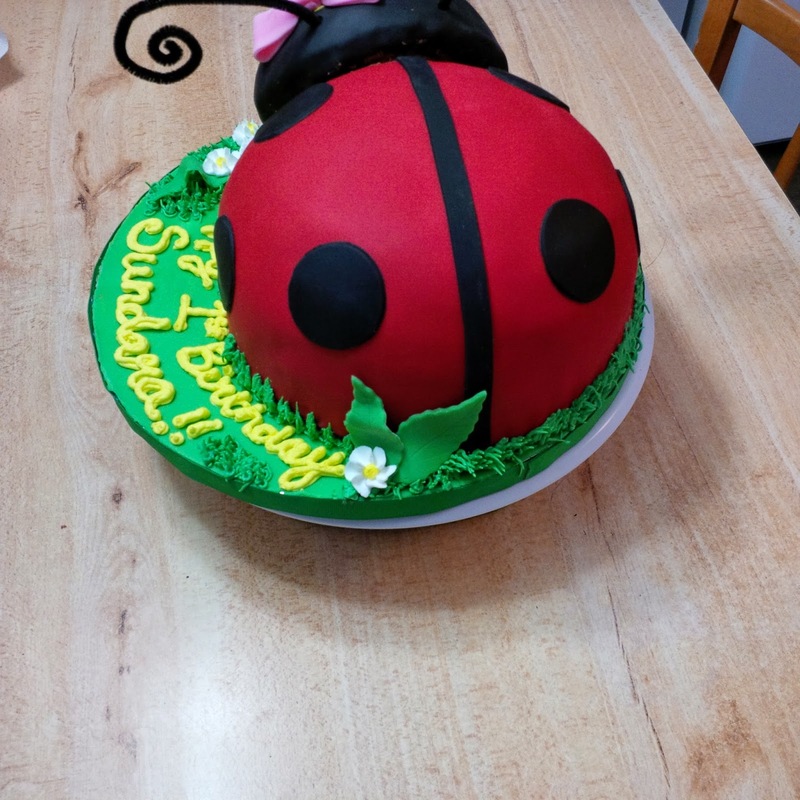 I am not a big fan of ladybugs as a bug, but in cake form? Adorable! 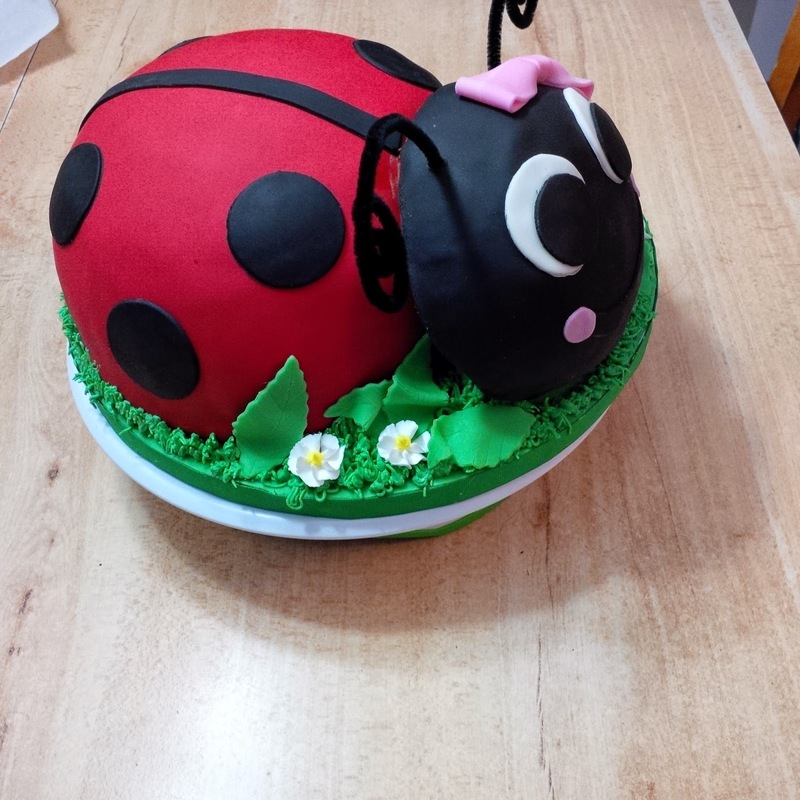 Another little lady was celebrating her first birthday and after seeing a picture of the first ladybug cake I did, her family wanted to order the same theme, but a smaller version. This cake was inspired by the very top layer of the original cake. The cake itself was funfetti flavour, a rich vanilla butter cake filled with sprinkles. 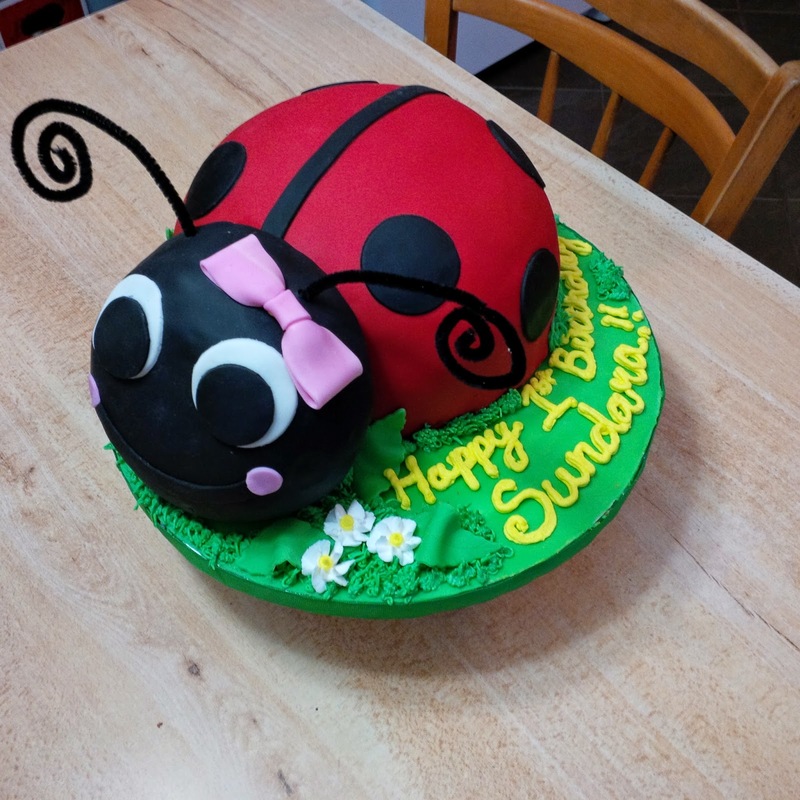 It was iced with a layer of chocolate buttercream before the fondant layer went on. All decorations were fully edible except the antenna. Those were made out of pipe cleaners. 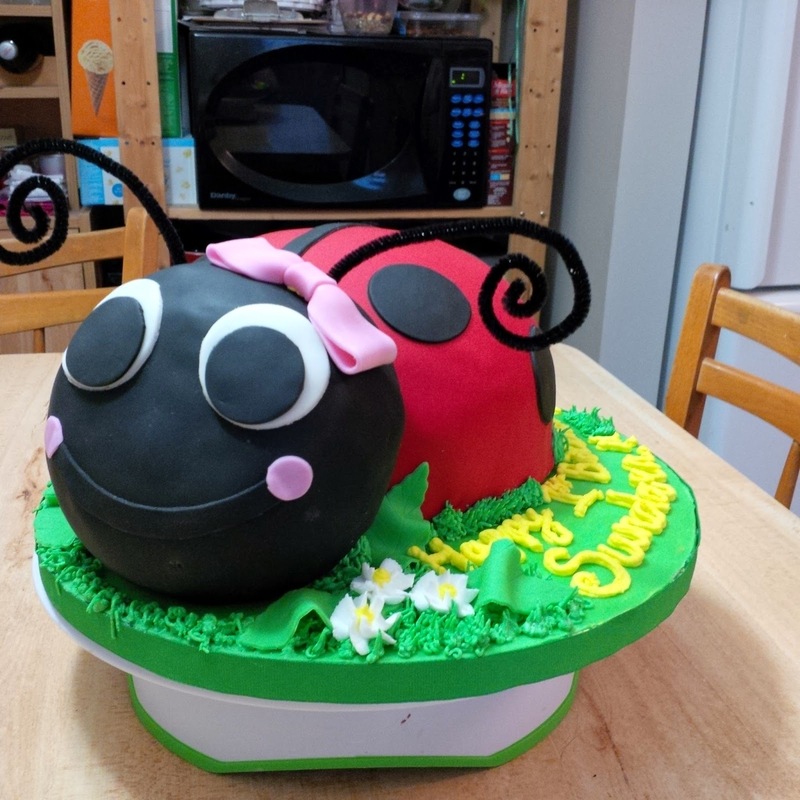 I sat the ladybug on a green cake board and added some grass and a few white flowers around it to create a more natural surrounding. She was topped off with a big smile and a little pink bow!